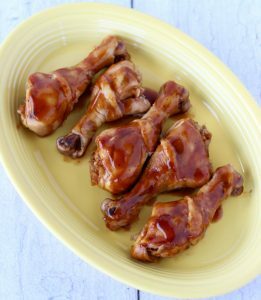 Here’s a quick and simple Crockpot BBQ Drumsticks recipe that’s perfect for a weeknight dinner, Sunday lunch, or even Game Day! 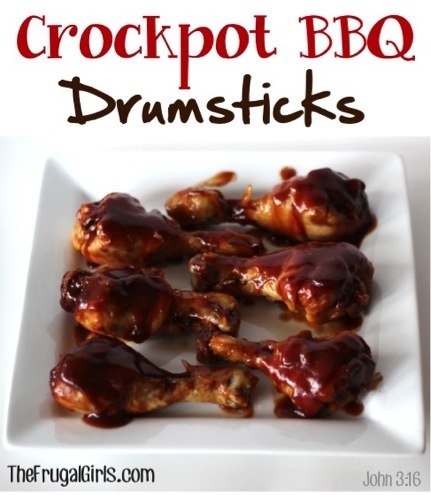 You know how much I love Easy Crockpot Recipes, and these Crockpot BBQ Drumsticks are off the charts!! Licking your fingers is preferred over napkins for these yummy chicken legs! 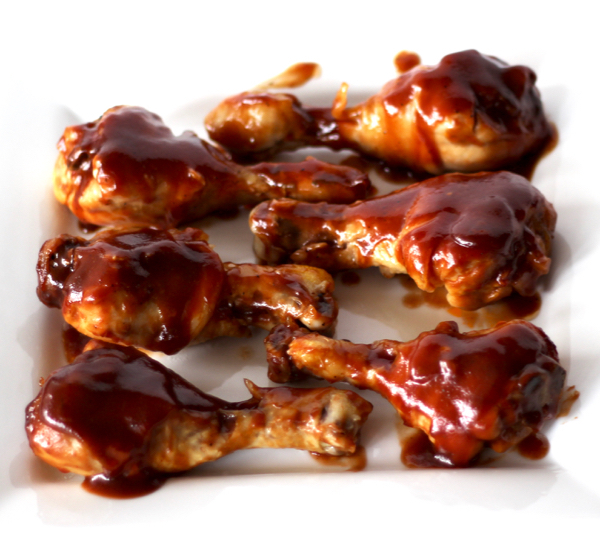 Keep your dinner simple and tasty with these family pleasing Barbecue Chicken Drumsticks! They’re kid approved and fall-off-the-bone delicious! The perfect slow cooker solution for those busy weeknights! 99 Ultimate Summer Crockpot Recipes! Here's a quick and simple Crockpot BBQ Drumsticks recipe that's perfect for a weeknight dinner, Sunday lunch, or even Game Day! 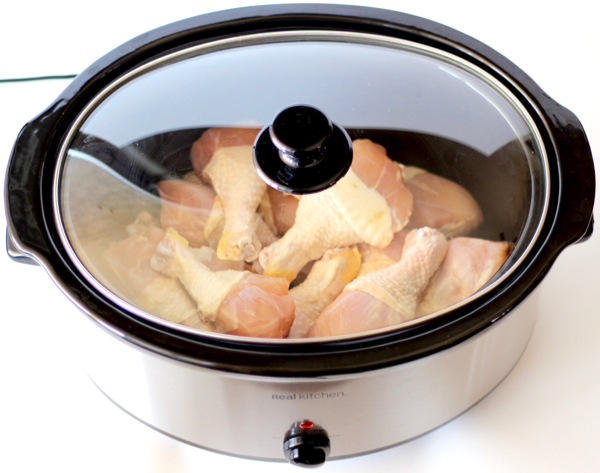 If adding onions, place ½ cup water and sliced onions on the bottom of the Crockpot, then lay Drumsticks on top. 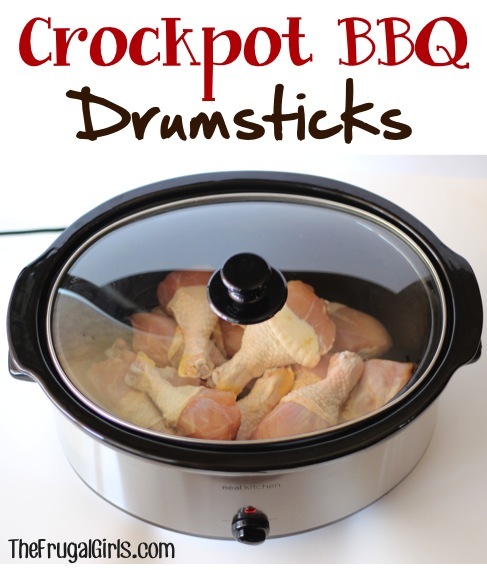 If not adding onions, simply place Drumsticks in Crockpot. 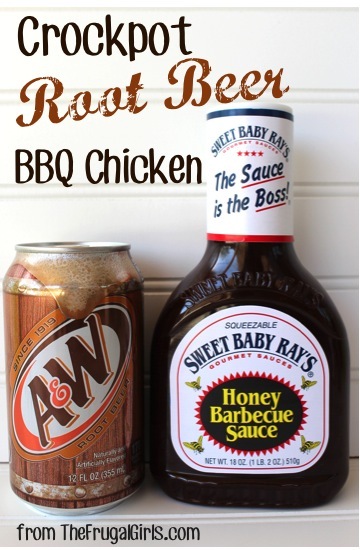 After 3 hours, remove juices from crockpot, and pour entire contents of BBQ sauce bottle over chicken. Cover, and cook for 30 minutes more, or until done. ENJOY!! On the hunt for more Easy Crockpot Recipes to make this week?? Here are more ideas I know you’ll LOVE! 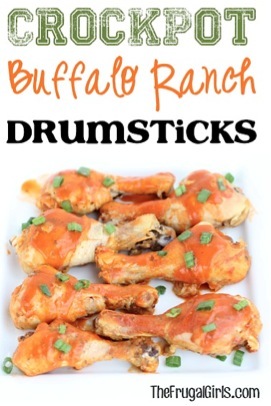 Give your ordinary ol’ drumsticks some serious kick with this easy Crockpot Buffalo Ranch Chicken Drumsticks Recipe! Make everyone in your house so very happy with these delicious Crockpot BBQ Ranch Chicken Wings! Craving some Teriyaki deliciousness? 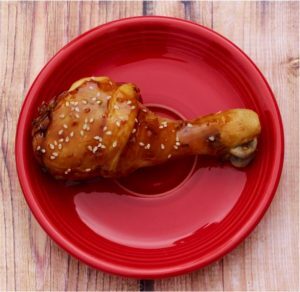 Check out these easy 2 Ingredient Crock Pot Teriyaki Chicken Drumsticks! Are you ready to load up on chicken leg recipe inspiration? Get ready for some delicious home cooked barbecue flavor with help from one of these best BBQ Chicken Recipes! 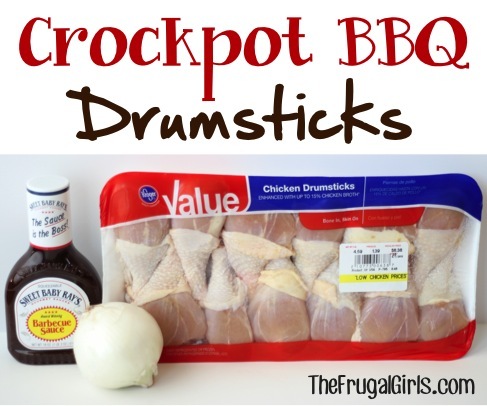 Have you tried this Crockpot BBQ Drumsticks Recipe? Fantastic! This recipe will now be replacing Nana’s BBQ Chicken legs made in the oven. Nothing was leftover (I used 6 legs for a family of 3). I have this in my crockpot for the second time today! A few weeks ago I made it for myself and put 6 drumsticks in, with the intentions of having leftovers…….they were so amazing I ate them all!!! Ooops! I put in 7 today (that’s how many were in the package I bought), so we will see if I can keep some for leftovers this time!!! 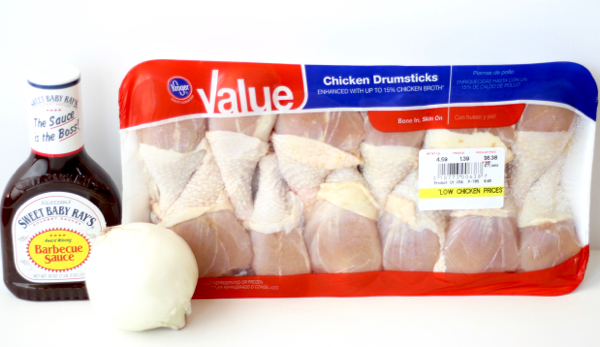 Is it the same cook time for frozen drumsticks? Or do I need to thaw them? I’M LOOKING FOR A RECIPE FOR CROCKPOT CHICKEN LEG QUARTERS, SOMETHING EASY. I NEED HOW LONG TO COOK, AND SOME EASY INGREDIENTS. THANKS, I LOVE YOUR WEB SITE. Have you tried adding rice into it? Would I be able to add that into the crockpot, if so, how much? Hi Emilee ~ I haven’t tried that, but if you do… let me know how it turns out! If I split this recipe in half and only make 5-6 chicken legs, is the cook time the same? I LOVE this recipe. My only question is, my crock pot is very small and can only fit 5 drumsticks on the bottom. If I wanted to make more is it ok to stack then on top of each other? Will they all cook through the same? did you end up stacking them? cause i am only able to fix 6 on the bottom, and i want to do 12. The picture shows they are layered. This was really good! I just made it tonight! My family loved it! I was nervous to cook the chicken without anything on it, but it was so delicious. My husband even said this was the best cooked chicken I have made…very tender. Thank you! What would be time frame on low setting?